That was the conclusion of a colleague, someone with a lot of experience in the Middle East after watching just the opening minutes of my new FRONTLINE documentary, Inside Assad’s Syria. Of course I went anyway. 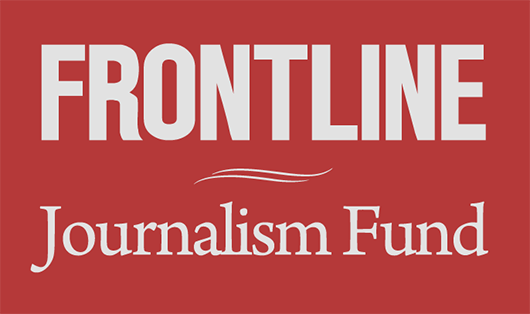 Since 2011, coverage of the war in Syria has almost entirely come from the rebel side. Outside of a number of surprisingly repetitive and uninteresting interviews with President Bashar al-Assad, Western reporters have had limited access, especially recently. 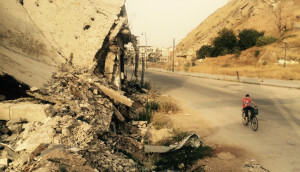 So five years into the war, life in regime-controlled areas was still largely a mystery. I had a lot of questions. What would be people’s prevailing narratives about how the war began and what it was about? Would people make distinctions between different rebel factions? Were people there really supportive of their government’s more brutal tactics, like its use of barrel bombs? How did they imagine the war would end? Mostly I thought it was important to put a face to the people who live there — to know who they were and what they were thinking and feeling. The problem I faced as a reporter, though, was that for those few journalists that do get in, there are a lot of restrictions. An itinerary has to be approved by the Foreign Media Department at the Ministry of Information. They grant seven-day visas and assign every journalist a minder. Anytime you travel, you are accompanied. I was fortunate to be able to circumvent this. The phone call came this summer. After trying to get into regime-controlled Syria for more than a year, I was contacted by someone who asked if we might be interested in seeing some footage taken by a Syrian journalist, Thaer al-Ajlani, a young man with entree into the Syrian military. Over the last four-and-a-half years, I was told al-Ajlani had traveled all over the country, filmed many battles, spent time with soldiers, interviewed their commanders and talked to refugees. I told my contact that of course I was interested, but I would prefer to come to Damascus, meet al-Ajlani and do more than see his footage. “We’ll see,” I was told. I was surprised when, within a matter of weeks, I had an invitation from the president’s office. The Ministry of Information would support the trip. But I would not have a minder, and our visas would be open ended. The film tells the story of our three weeks there this past summer. I don’t want to spoil here what were for us many surprising encounters and events … from the disturbing to the absurd. But, I can say that I was able to walk the streets and talk to whomever I wished. And I was able to visit officials if I so chose. Some special requests were denied but other serendipitous encounters made up for what we didn’t achieve. And for the most part, people were open about their hopes and fears. As to how the war began, they had a consistent narrative: That the protesters that took to the streets in 2011 had legitimate demands, but that the demonstrations were quickly hijacked by foreign backed jihadists. They reject the idea that Western-backed rebels are “moderates” as they are often termed in the US. There is a tendency to conflate all armed groups opposing the regime as sectarian extremists. At the same time, not everyone loves Assad. But I had to learn how to listen for that. Their way of expressing this was never to criticize the president directly — that is a line no one dares cross. Instead, people would simply stress their love of Syria. Others might talk about supporting the government, but that “was not because we love the regime” as one man put it, but because “we don’t want the collapse of the state.” They saw what happened in Iraq after Saddam, and in Libya after Qaddafi. They watched as state infrastructure — schools, hospitals, police, water, electricity — crumbled with the fall of central government, and they don’t want to the same to happen to them. As to how the war might end, “only God knows” is the best answer I heard. It may be the most honest. In the end, I came away with one big thought that should be obvious but I don’t think is. That is that the goal here should not be to win, to either vanquish Assad and his regime, or if you are a loyalist, to defeat all the rebels. At this point in the war, it’s hard to see how either objective is attainable. The goal should be to stop the killing. Perhaps new borders will need to be drawn, as some have suggested, with some accommodations made for Assad to remain in power for the near term and some accommodations made to grant the rebels some autonomy. Russia’s direct entry into the war presents new challenges, but also new opportunities. Washington and Moscow are at this time exploring the possibility for ceasefires, using leverage with their proxies to stabilize the battlefield and push for a political solution in Damascus. Efforts in the past have failed, but the growing refugee crisis and the specter of even more war is spurring new initiatives. This doesn’t address the ISIS problem, but certainly as long as fighting continues between the regime and more accommodating rebel groups, the fight against intransigent militants like ISIS and the Nusra Front, the Syrian affiliate of Al Qaeda, can never succeed. As to whether we’ll face criticism for going, so be it. The saddest thing about Syria is that people have made up their minds. The opposition sees Assad as a monster determined to win at all costs. Loyalists feel they are besieged by foreign conspirators. Both views have some truth to them, but clinging to those narratives is futile. It leads to the kind of rigidity that will only bring more fighting, more suffering, more refugees and more death. 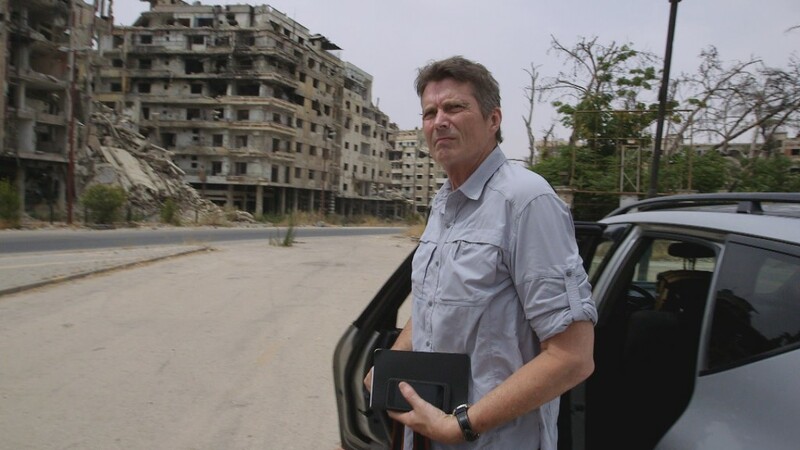 Martin Smith, the correspondent on Inside Assad’s Syria, is an Emmy- and Peabody-award-winning documentary filmmaker for FRONTLINE. Smith wrote and produced the 2015 investigation Obama at War — about the administration’s struggle to deal with ISIS and the civil war in Syria — and was a senior producer on the 2011 film profiling Bashar al-Assad, The Regime. Smith works with RAINmedia, an independent production company in New York City.